Bob Der, a veteran of Sports Illustrated for Kids, is leaving the magazine. The New York Post reports that Der will be replaced by Mark Bechtel, a senior editor at Sports Illustrated. 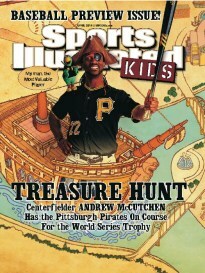 Der had been managing editor of SI for Kids for the past eight years. He was only the fourth managing editor in the magazine’s 25 year history. Bechtel has been with Sports Illustrated for almost 20 years.